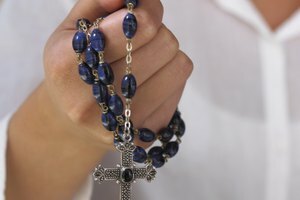 What Is a Catholic Funeral Rosary? Asking the deceased to intercede in Heaven for those in this world. 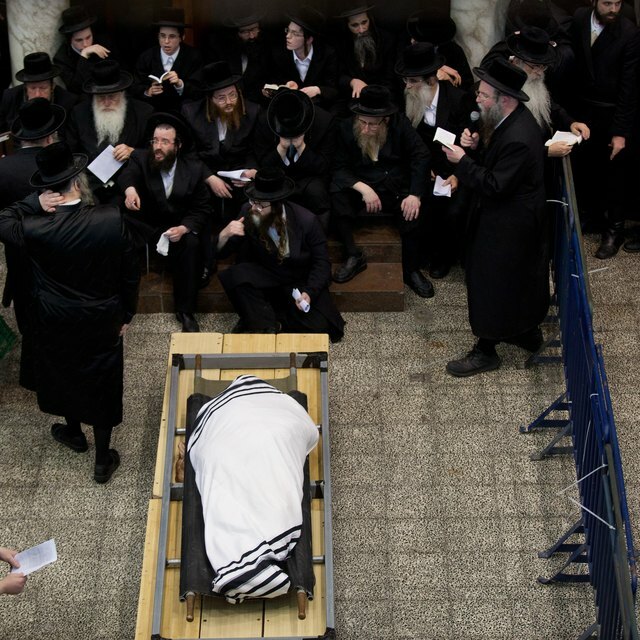 Judaism abounds with prayer rites and rituals that mark every phase of life -- including death. There are many purposes for the rituals that surround a person who has left this world. The primary concept is to bring honor to the deceased so that his soul may begin the journey to the world to come surrounded by loved ones and holiness. Also of importance is the process of grieving for those left behind. The ancient prayer rituals from the time of death and beyond work towards accomplishing these goals. When a person's soul has passed from this world and is beginning the journey to the world to come care must be taken to help the soul transition as easily as possible. The body is ritually prepared for burial and taken to the cemetery. Psalms, including the famous 23rd Psalm, "The Lord is My Shepard," are said as well as the prayer "Kel Malai Rachamim," or "O, God, Full of Compassion..."- This is the prayer for the soul of the departed. This service is said at the cemetery by a respected person who leads the service. 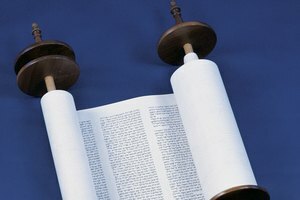 The "Kel Malai Rachamim" prayer is derived from the Book of Deuteronomy 21:8 and is accompanied by a promise to give charity on behalf of the deceased. Many Jewish cemeteries have charity boxes to fulfill this declaration. Mourners are a spouse, child, parent or sibling. 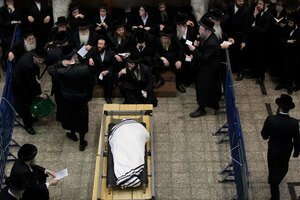 Once the body has been buried and earth shoveled into the grave, those who are not mourners form two rows and the mourners pass through after they recite the Mourner's Kaddish, which will be said in a synagogue three times daily for 11 months. The Mourner's Kaddish praises God and looks ahead to the coming of the messiah. It is customary to place upon the grave a well thought-out and modestly designed gravestone within 11 months after the person has died. The first prayer said at the cemetery for this occasion is "Praised be ... God... who created you in judgment..." This is followed by Psalms 23, 91 and perhaps 119. This is followed by the "Kel Malai Rachamim." All prayers should be directed to God and not the departed loved one and should be recited by all the people who mourned for the deceased. It is appropriate to ask the deceased to intervene for a person in the world to come, but there is only one God and care should be taken to address prayers to God. Yizkor, the prayer for remembering the dead, "Merciful God in Heaven, grant perfect repose to the soul..." is recited on the last day of the four major Jewish holidays. It is said in front of a minyan, a quorum of 10 Jewish men above the age of 13. It is best said at the cemetery but since driving or riding is prohibited on Jewish holidays, it is usually said in the synagogue. On the anniversary of the death it is customary to visit the grave of the deceased and recite Kaddish. 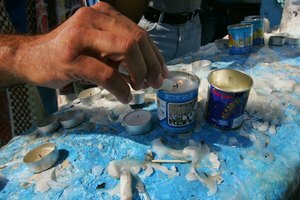 A candle that will burn for at least 24 hours is lit in the home or at the grave. Psalms may always be said at the grave site. Rivka Ray has been writing professionally since 1978, contributing to publications such as the National Review Online. She has a Bachelor of Arts in English from the University of North Carolina and a Bachelor of Science in medicine from the American College in Jerusalem. Ray has also taught English as a second language to adults. What Are the Main Doctrines of Islam? Ray, Rivka. "Prayers Said at a Jewish Cemetery." 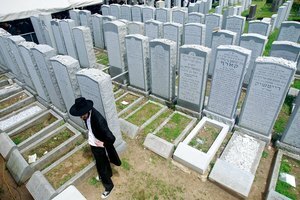 Synonym, https://classroom.synonym.com/prayers-said-at-a-jewish-cemetery-12085613.html. 29 September 2017.